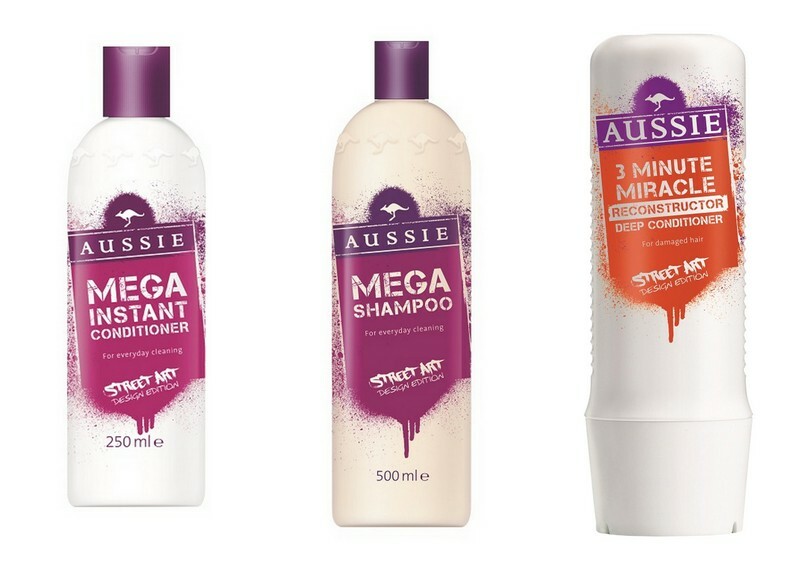 Australian hair brand Aussie has just launched three of their bestsellers in limited edition packaging inspired by graffiti. 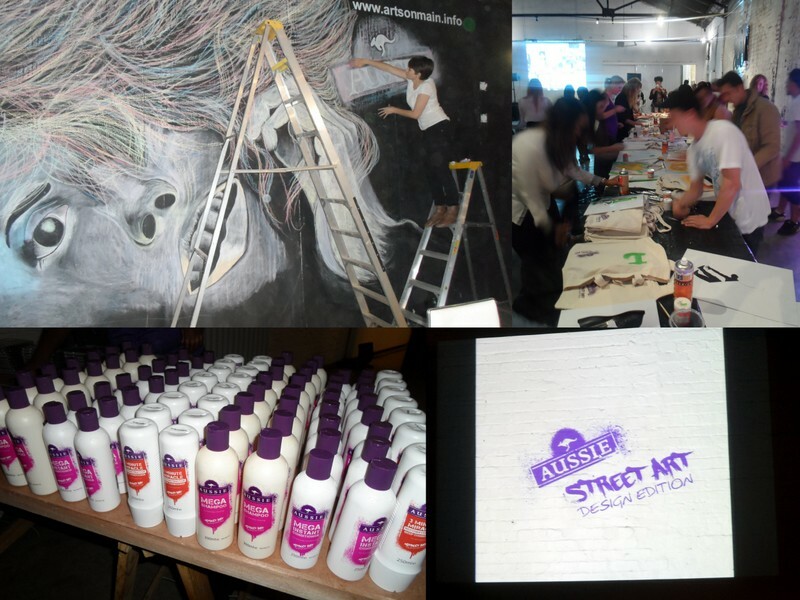 The Street Art collection consists of Mega Instant Shampoo for everyday cleansing, lightweight Mega Instant Conditioner and 3 Minute Miracle Reconstructor Deep Conditioner. To be clear, the formula is still the same – and thank God for that as I adore it – it’s just the bottles that have got a ‘streety’ new look. To celebrate, Aussie flew a bunch of us beauties up to Jozi to a ‘wharehouse’ party at Arts on Main. 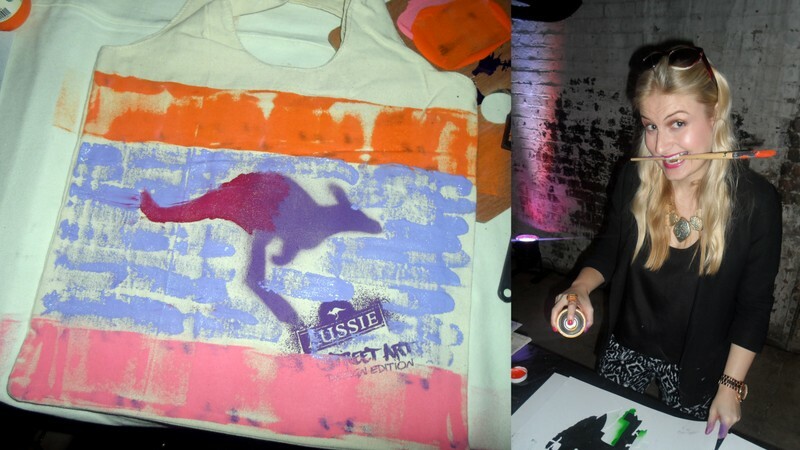 It was there that we were tasked with decorating an Aussie branded canvas shopper but, to be honest, arts and crafts aren’t really my thing – especially when I’m wearing expensive clothes – so I kind of phoned it in a little. Sad, right? My would-be ombre effect ‘roo kinda just looks like he’s injured and bleeding. It was after someone pointed out that my bag kind of reminded them of the old South African flag that I gave up and traded in my paintbrush for cupcakes. 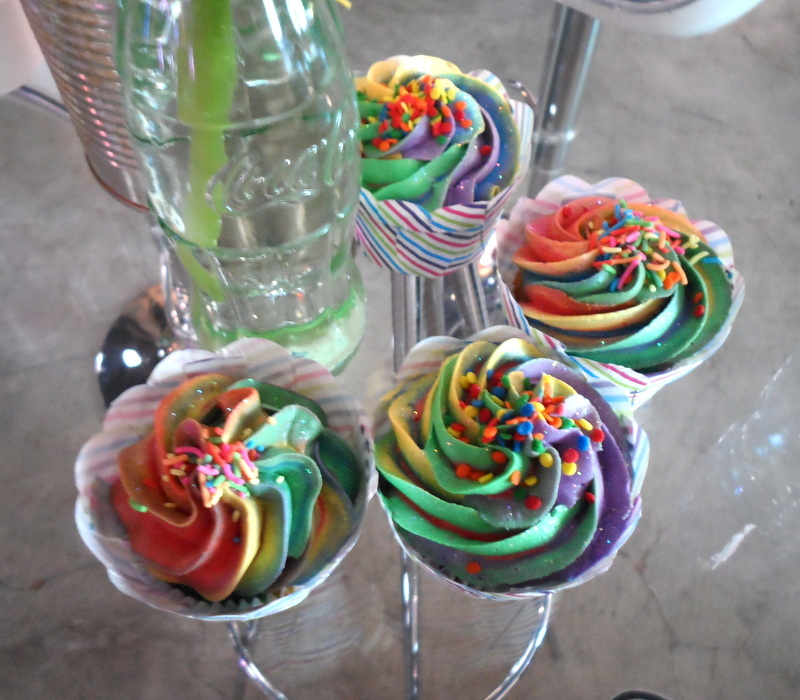 Super cute, right? They had lots of candy floss, DIY cocktails and hot dogs too. A very good day for eating. Once the launch was almost over, I congratulated myself in that I’d managed to participate without ending up looking like I’d spent the day at Holi fest… but then leaned up against a freshly painted wall and destroyed my favourite black blazer. I then proceeded to throw a massive strop and may or may not have threatened to slice up the PR’s face with my car keys but for this I am very, very sorry*. Anyway, you’ll find the limited edition bottles sitting on the shelves in Clicks as we ‘speak’ but stocks are limited. However, to totally level with you, Aussie could sell their shizz emblazoned with the image of a dead rat (or kangaroo) and I’d still toss it into my trolley. Their 3 Minute Miracle is one of my hair’s favourite things in that it’s Australian balm mint-infused formula hydrates without adding weight. The best bit, however, it that it smells just like bubblegum! *Sorry Kristly! I was only kidding! Clearly all that hard-core graffiti must’ve unleashed my inner gangster. Also, please believe me when I tell you that whoever drove past your house and spray painted ‘BLAZER KILLER’ all over your pavement is clearly a very twisted, sick individual and most definitely wasn’t me. Promise.